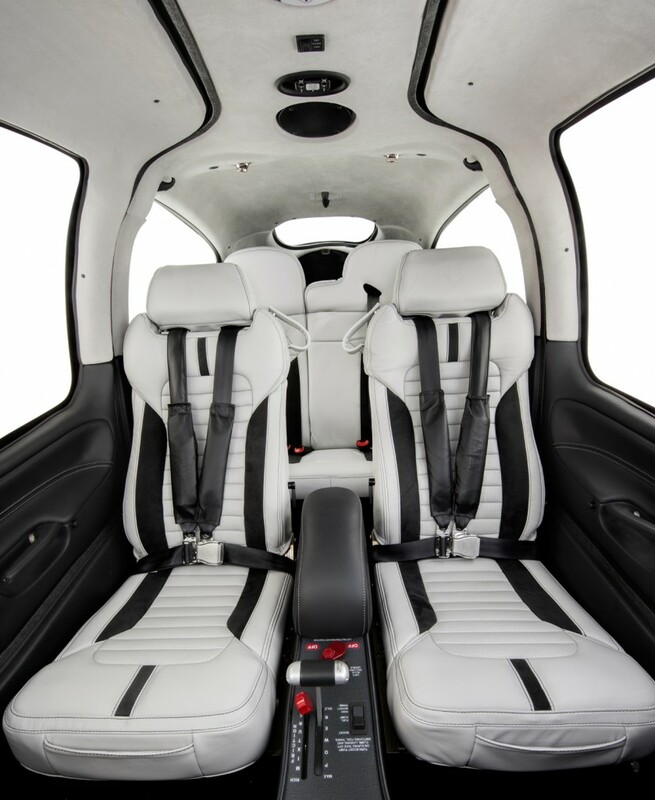 Tucked away in last week’s Cirrus G6 announcements were some hidden gems. Most significant of all was the substantial repositioning of the “little sibling” SR20. First, the SR20 has been given a reliable, low maintenance, 215hp Lycoming engine (versus a 200hp Continental in the G3 model). It will be interesting to see if this extra power yields a higher cruise speed. Secondly, there is a massive, near “full passenger equivalent,” 150 lb increase in useful load, when the composite propeller is ordered – who wouldn’t go for that? Thirdly, there’s a 39 knot increase in the deployment speed for 50% flaps, to 150 KIAS. 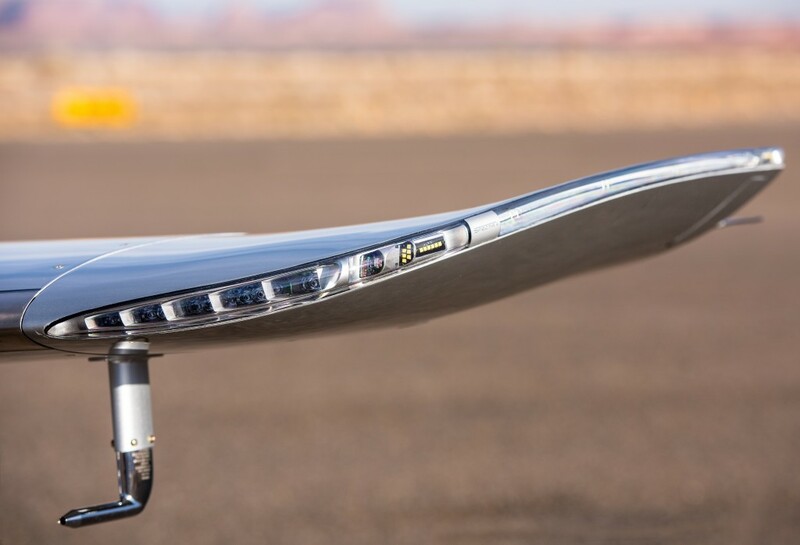 What’s more, 100% flaps can now be selected at 110 KIAS – just like on the SR22. These are welcome improvement that greatly assist slow-down and descent. Fourthly, the previously out of sync SR20 (G3) and SR22 (G5) models have been aligned as one G6 series. 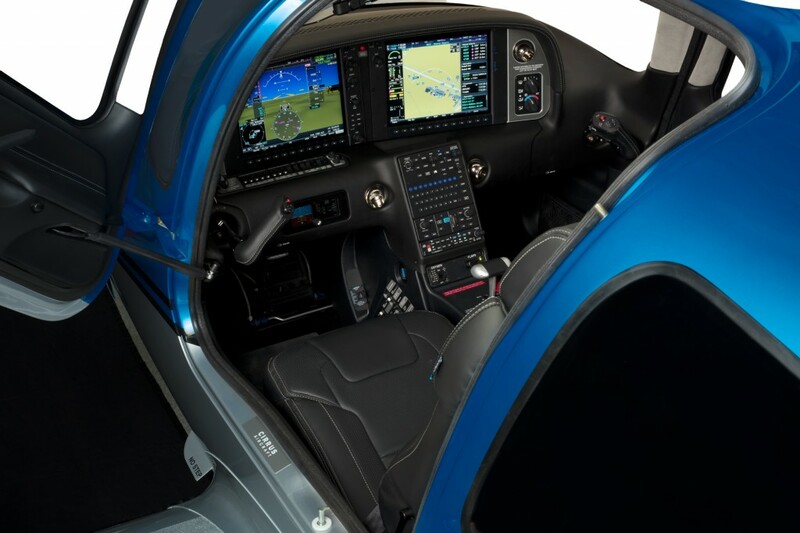 They now share multiple features and platforms, many of which are also common to the Cirrus SF50 Vision Jet. For example, the auto pilot controller becomes standard across the entire range. As a second example, VFR sectionals and IFR charts can be displayed on the MFD. What might at first appear as “bling,” on both the SR20 and SR22, for example, the LED wingtip lights are in fact powerful visibility and anti-collision tools. The new landing lights will brighten even the darkest runway. The optional automatic yaw damper, which activates and deactivates at 200 ft AGL, will lighten pilot workload, and make passengers even more comfortable, especially in less than perfect weather. The under belly “surface illumination lights” not only look good, but make night operations, especially pre-flight, and passenger egress, so much easier. Cirrus pilots are going to look and feel like movie or pop stars. The upgraded SR20 has more carrying capacity, competitive pricing, and “sameness” with the entire range. When combined with its parachute, the SR20 is positioned as a “competition killer,” and attractive entry level training aircraft, or personal aeroplane. The SR20 G6 offers the first step on a sequential and familiar “stairway to (jet) heaven,” that is, through the SR22 to the “rich uncle” in the family, the SF50 Vision Jet. The G6 upgrades are about making Cirri, which are already about twice as safe as their general aviation peers, easier, pleasurable, and safer to fly. If you have been a Cirrus critic, you are now part of fast shrinking minority. Make no mistake. The G6 upgrades are a clever and powerful set of changes that enhance Cirrus as a lookalike family of aircraft. They show, in a huge shot across major competitors’ bows, that Cirrus has definitely not taken its eyes off its piston fleet with the certification of its jet, in fact, quite the opposite! These changes will exert more and more competitive pressure over time. But wait, there’s more: How many pilots have wished, especially in flight, for a home key on the Garmin avionics; a “proper” QWERTY keyboard, just like on their laptop, or mobile phone, and instant screen responses? With the Cirrus G6 announcement, pilots can tick all these items off. It’s like “January in June” for down under Cirrus buyers. Another dream of every pilot, since they first saw the complex graphs and tables in the weight and balance (W&B) section of a pilot operating handbook (POH), is for a way to run the W&B numbers in the aircraft itself, cognisant of the fact that actual passenger and luggage weights are often not known until the last minute – when they arrive at the airport. Cirrus has again demonstrated that they are a group of passionate flyers, listening and dedicated to delighting pilots. The team have successfully integrated W&B calculations into Garmin’s latest G1000 NXi avionics offering. The aircraft already knows how much fuel is on board, so pilots won’t need to enter that figure. Things haven’t gone as far as automatic scales for each seat, but the new in-cockpit W&B calculation will be a popular and often used enhancement. “It might make ramp checks a bit easier too, even welcomed,” says Moorabbin based Avia Aviation Director, Charles Gunter. 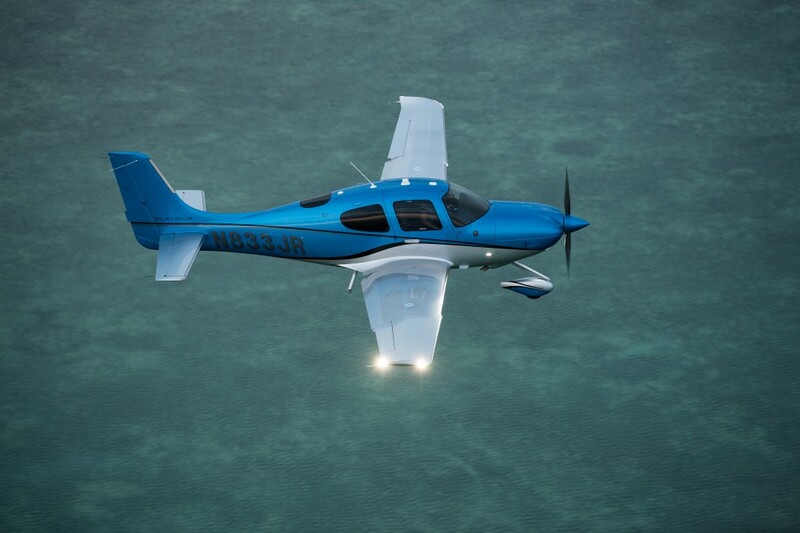 The Cirrus has always been a sales person’s dream. These latest improvements will surely secure the SR22’s position as the world’s best-selling single for many more years to come. Note however, that the SR20 is now repositioned as a much strong player. It will be attractive to private buyers and training organisations alike, with that 215 hp engine and extra 150 lb useful load. So it’s nine out of ten to Cirrus for the 2017 G6 upgrade. Aussie pilots will hold that last point until they can wirelessly connect their own electronic flight bags (EFBs) from OzRunways or AvPlan to the aircraft’s Garmin platform. Given that the AvPlan founder has been based in the US for a while now, and the OzRunways folks fly an SR20, this is not an unreasonable request. Come on Aussie, come on, come on…! The Cirrus Australia crew are visiting the USA in January to check out the G6 models, calling it work. They have promised to have G6 models on display at the Avalon Airshow this year. The Cirrus stand is one pilots will want to hang around for long periods, whether it’s to buy or simply dream. Paul M Southwick is a Melbourne based journalist, communications consultant and pilot.